Posted on September 13, 2018 at 9:16 am. IMRIS, Deerfield Imaging, the leader in image-guided therapy solutions, has entered the AI (Artificial Intelligence) data solution market segment with the release of the new IMRIS NeuroBoard Platform. 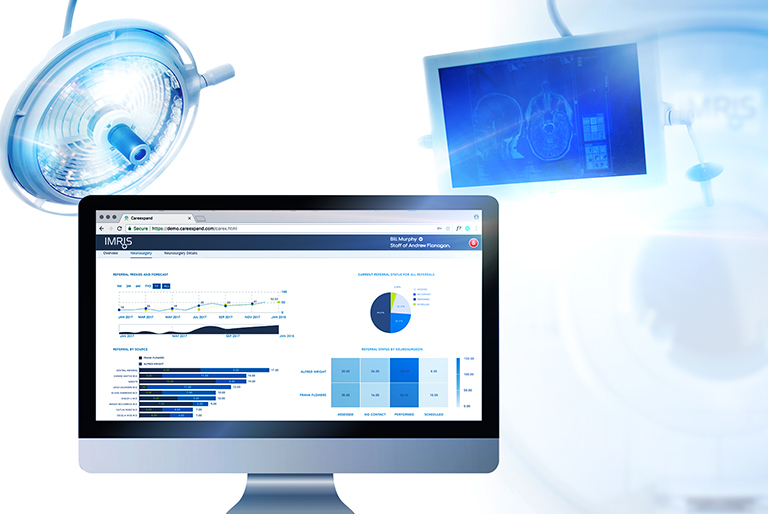 NeuroBoard, a value-based software platform, is designed to help IMRIS’ neurosurgical customer base to improve the effectiveness of key business metrics by providing detailed real-time analytics. The IMRIS NeuroBoard Platform is a best-in-class, HIPAA compliant cloud architecture built for Neurosurgery organizations across the world. Focused exclusively on Neurosurgery, NeuroBoard allows for preconfigured insights seamlessly integrated from the multiple data sources that exist in Neurosurgery departments. Neurology and neurosurgical teams will be empowered with a deeper understanding of referral patterns, research analysis, profitability measures and procedure level insights. NeuroBoard combines revenue cycle data, clinical and research data into an operational approach leveraging state of the art computing technology that operates at a fraction of the cost of traditional solutions. IMRIS NeuroBoard will enable neurosurgeons to interpret and deliver valuable insights in real time that may otherwise be too time intensive to obtain. Leveraging decades of experience, IMRIS continues to support neurosurgical advancements with innovative products and services. The IMRIS Surgical Theater comes in a variety of tailored room configurations with the ceiling-mounted, moveable MRI scanner as the centerpiece. Preferred 3rd party equipment options and premium clinical support are also part of IMRIS’ portfolio of customized solutions; however, the IMRIS NeuroBoard Platform is IMRIS’ first software offering.